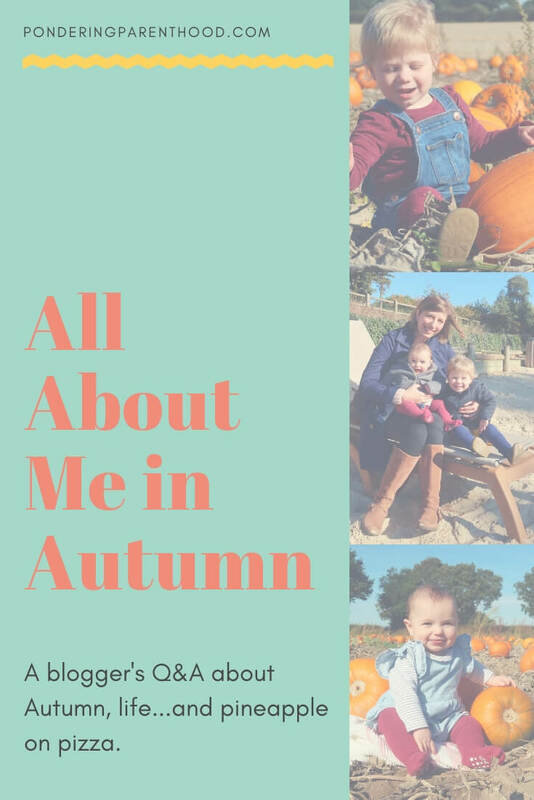 Lovely Lauren at Scrapbook Blog tagged me in her ‘All About Me in Autumn’ post, so I thought I’d have a go at answering the questions so that you can find out a bit more about me. 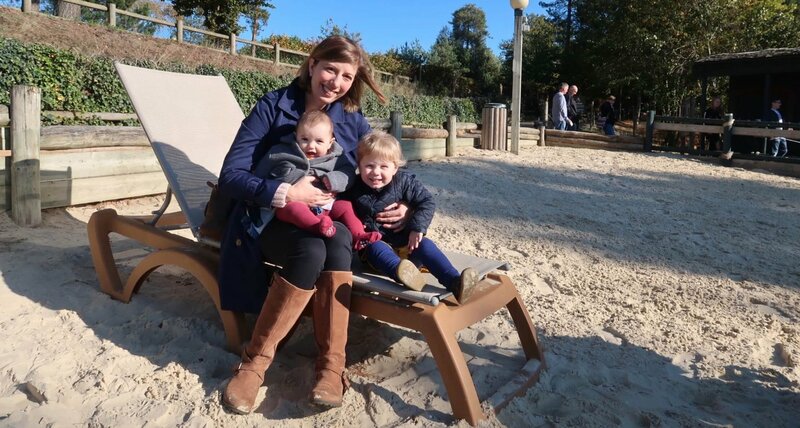 Of course, there’s also my ‘about me‘ page, if you fancy a look there for more information about our family! This seems to change all the time, but I do love the colours of Autumn. I love all of the golds, reds, browns and purples of the leaves at this time of year. In terms of clothing, probably navy. Not particularly exciting, but very versatile! Weekdays aren’t terribly exciting in this house! Generally, I spend my day keeping both of the children fed and entertained (M and I read a LOT of library books while I’m breastfeeding B!) and it often feels like I spend much of the day either washing clothes or wiping something, be it a tabletop or a child’s bottom! We have a toddler class that we go to once per week (we were up to three before the summer holidays, but sadly the other two stopped and we haven’t yet found anything we like nearby to replace them) but other than that and the odd food shop, I have to make a real effort to get us all out of the house. That’s the downside of Autumn; the days are darker and it makes me want to hibernate! 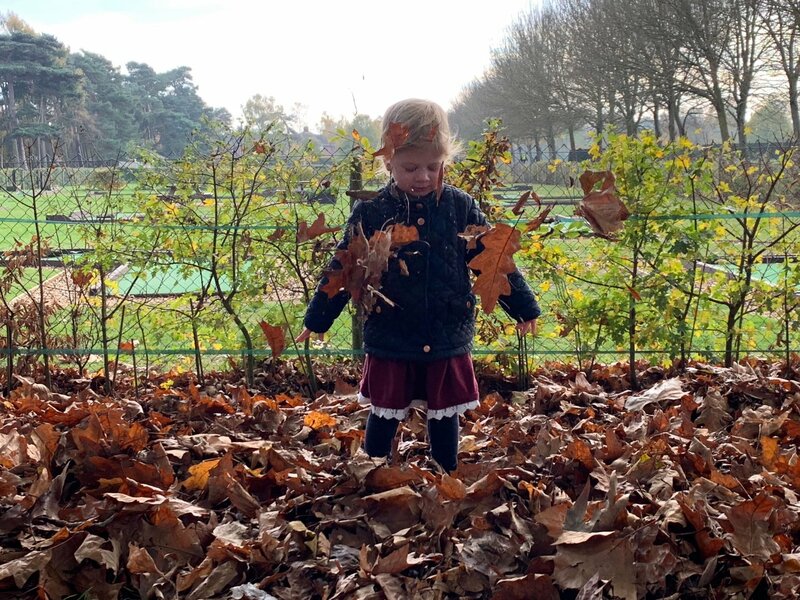 If we’re staying in, then I usually try to set M up with an activity to do – you can see some of the things that we do in my Pondering Playtime posts. Sitting on my sofa typing on my laptop; this is my office! Of course Neighbours is on the TV. It’s my guilty obsession – I think I’ve been watching it almost since it started in the 80s! Libra, but I don’t really follow star signs or horoscopes. I think you can read any star sign description and find elements of your character in there. Hmm. Probably ice cream. Although a really good gluten free cake is amazing. Can I have both, at the same time? I haven’t even seen Moana. I do like to sing along to the songs on YouTube, though. Ditto Frozen, although I have seen that one! I would say in, but actually I’d love to have a date night out with my husband. My idea of the perfect night ‘out’, though, is a fabulous three course meal followed by a nice walk back to the car and a drive home, with lots of conversation. I don’t really do, ‘out out’. Home cooked every time. I really enjoy cooking. I cook from scratch every night. I don’t generally like to admit that as it think it makes me sound a bit snooty, but I’ve always cooked fresh foods and didn’t even own a microwave until we had children – and that was just for sterilising! I used to find takeaways a real treat, but since being diagnosed as gluten intolerant, I’ve found it almost impossible to find quality takeaway that tastes great and doesn’t leave me feeling terrible afterwards. It depends on what else is on the pizza! Generally not, but I’m not adverse to a ham and pineapple pizza every now and again. I think I get more enjoyment from a good book, but since having children I just haven’t been in the right head space for books really. Apart from children’s ones, obviously. I think I read at least ten picture books per day! I’ve watched a lot of films during night feeds, though. Some better than others! Oh this is a tough one, I love Autumn for the colours and the crunch leaves and snuggly slippers. There’s something really comforting about a good pair of socks! Having said that, I find the shorter days really difficult to cope with, especially as Autumn turns to Winter, so for me Spring brings with it a really uplifting feeling of hope. I think for that alone, Spring wins. Both? If I had to choose I’d say flowers, as they last longer. But I feel quite reliant on a bar of Cadbury’s Caramel for a little pick me up after a long day. Neither. I used to drink quite a lot of (full fat) coke, before I realised that I felt much better if I didn’t drink it at all. So I stopped! I’d say my phone, I think, as I can do most of the things on my laptop on there anyway, and I have literally thousands of photos and videos of the girls on there. For blogging, though, the laptop wins every time. Aside from Neighbours, which is my ongoing obsession, I’ve recently finished watching Suits and really enjoyed it. Another favourite from Netflix was Gilmore Girls, but I’m not one for re-watching series so I’ve only watched it the once. 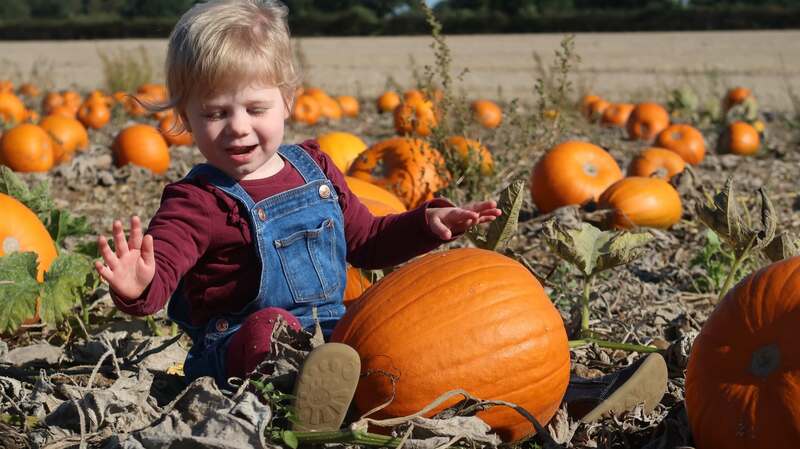 Going for a lovely Autumn walk to enjoy the crisp air, crisp leaves and beautiful colours, followed by a warm up with a hot chocolate in a nice cafe. As previously mentioned; Cadbury’s Caramel. I’m craving it now, as I type, but I’ve deliberately made sure that I don’t have any in the house to make myself go cold turkey for at least a few days! Yes, I have my ears pierced. I also have a navel piercing, but I took my jewellery out when I was pregnant with M, and haven’t put it back. I don’t have any tattoos. I sometimes like the idea of having one, but I think I change my mind too often to have something so permanent! I’m not sure. I think I come across as very confident and extroverted, but in fact I’m actually quite anxious in a lot of social situations. It very much depends on the situation that I’m in. I guess by the very fact that I share a lot of my life online, I could be considered an extrovert. I’ve actually just Googled and done a little online test, and apparently I’m an ‘ambivert’, which means that I fall slap bang in the middle of the introvert-extrovert spectrum. Well there you go! I’m a massive wimp when it comes to scary films, and don’t watch them! Oh, this changes all the time depending on my mood. And we’re not allowed to listen to anything except the Wiggles in the car, so I can’t even remember what my taste in real music is! Yes, I have a fear of not living up to expectations. Either the ones placed on me by myself, or by other people. I often think I am too hard on myself, and this is something that I need to improve on. Alright, Cher, give it a rest! Yes, two girls, age two-and-a-half years and seven months. I’d love us to have a dog one day, but that won’t be until the girls are older, and we have a house with a bigger garden. To be content with life. I think it’s easy to always want the next thing; a better job, a bigger house, more stuff. It sounds like a cliché, but I think health and happiness (and family, obviously) are the most important things in life. Although a bigger house with a bigger garden would be nice, too! I started blogging when Matthew and I first started trying to conceive. I’m a massive over-thinker, and if something is playing on my mind, then I tend to talk about it. A lot! So I started my blog as an outlet for all of my trying-to-conceive thoughts to avoid driving us both crazy. I guess the answer to this question depends on what you value. I have an undergraduate degree and a masters degree, the latter of which, I completed while teaching full time. Looking back, that was a pretty big achievement! I’m not entirely sure how I did it really. But I’m much happier since stepping back from teaching and having created a little family with Matthew. So actually I think I might be so bold as to say that my biggest achievement was taking the brave step of resigning from my teaching job. Fortunately it all turned out very well, but it was a bit of a risk at the time. I’d like to be able to make a reasonable part time income from my blog, as I won’t be returning to a ‘proper’ job any time in the foreseeable future. To have more people reading and engaging with my posts. I’ve totally stolen Lauren’s answer, here, but I think that this is what we all aspire to with blogging. A lovely lady approached me at the park last week as she’d recognised me from my blog. Her daughter had also had a Pavlik harness, like B, and she told me that it had really helped her to read someone else’s experience. That two minute conversation made my whole week! It was lovely to know that my words had helped someone, even just a little bit. 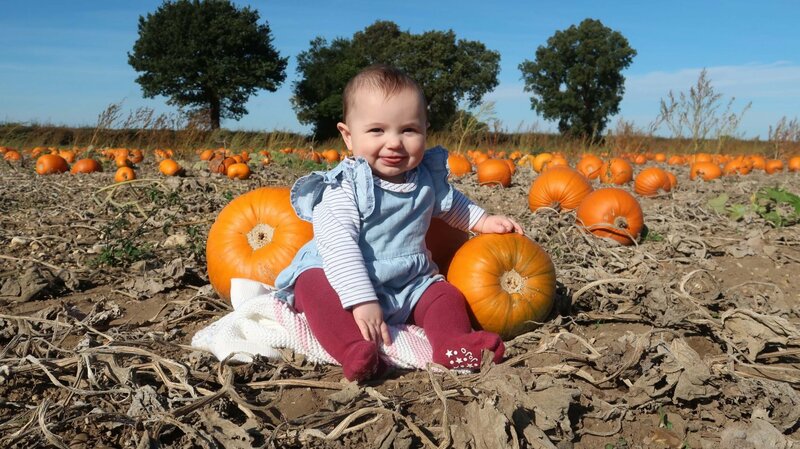 In January I set myself loads of blogging goals, but I don’t think I fully appreciated how difficult it would be to maintain the blog with a toddler and a newborn. Reality certainly hit when B arrived in March! So for now, my goal is just to keep the blog going until I can get this whole parenting-of-two-children thing a little more sorted! In ten years’ time, I will be 45. I can’t even imagine being in my 40s! M will be 12 and B will be 10. At the moment, I can’t even imagine them starting school, let alone coming to the end of their primary school careers! All I can wish for is that we are all still healthy and happy. That’s where I want to be. I would love to take a road trip down the Californian coast. Matthew and I almost did this for our honeymoon, but we decided to treat ourselves to a more relaxing honeymoon instead, after a stressful year for both of us. I don’t regret not doing it then, but it’s something I would still like to do one day. It certainly won’t be happening until the children are much older! I’d probably find someone to spend the day with! I’m content in my own company for short periods of time, but after an hour or so I’d probably be desperate to have a good natter to someone! Well, that’s it! I hope you’ve enjoyed learning a bit more about me. I’m tagging Rachel from Routinely Mum and Jade from Late for Reality.